A Celebrity Cruise ship didn’t have such a good cruise by the time it arrived back at its home port of Port Everglades in Fort Lauderdale on Feb 23rd, 2015. The Celebrity Equinox which had been sailing a 10-night Caribbean cruise from Florida had an outbreak which is mainly known as Norovirus. According the Centers of Disease Control (CDC) a total 142 passengers became ill with the gastrointestinal illness which causes vomiting, diarrhea. There were 2,896 guests onboard who were notified of the outbreak by the ship’s crew. Only 8 crew members became ill so services were not affected. 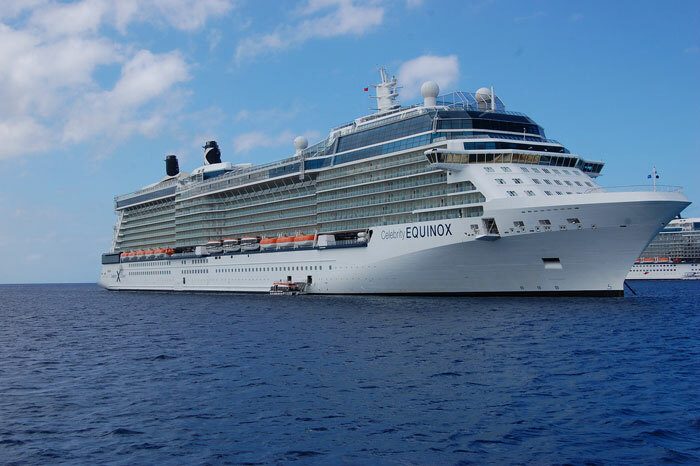 Celebrity Cruises activated sanitation procedures which is normal for an onboard outbreak. Crew members usually have to work extra shifts to make sure key public areas of the ship are sanitized. Extra sanitation methods are also usually implemented. A CDC health official boarded the Celebrity Equinox once it arrived in Port Everglades to investigate the outbreak and take samples of the illness. The officials also checked to make sure the cruise line activated proper cleaning methods and responded in the correct way. There has been no delay reported for the next scheduled voyage which has already set sail from Port Everglades yesterday Feb 23rd on an 11-night Caribbean cruise. This is now the second cruise ship the CDC has reported having a Norovirus outbreak in 2015 so far.